Cyclomethicone, L-Ascorbic Acid, Silicone Polymer, Dimethicone, Purified Water, Dimethicone Copolyol, Phospholipids, TGF-beta-1,Cimicifuga racemosa Extract. I am 44 years old and before my forties, I worshipped the sun and tanner beds and never took good care of my skin. When I hit 40 and started seeing some results of sun damage, I did some researching on the latest products and how to care for aging skin. I basically use a peptide product, retinol, and vitamin C and also a good moisturizer. 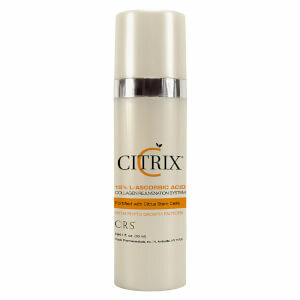 After trying multiple vitamin C products, I fell in love with this one. It has the feel of shaving lotion and glides over the skin with a very little amount. 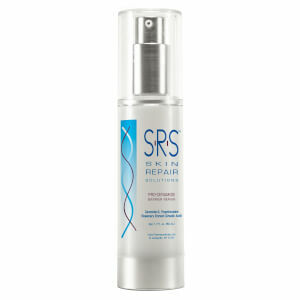 It absorbs instantly and does not leave a sticky feeling like some of the serums that I have used. My daughter and I had outdoor pictures taken together, and I received so many compliments on how I looked as young as my daughter and on that particular day, I was not wearing any makeup. Even my daughter asked what I was doing differently, or what kind of makeup was I using. Because of the cost, I would not endorse a product that I was not truly impressed with, but if I had to give up some of my skin care products, this would be the last one I would give up. I use the product once a day, usually right after cleansing at night before my other products and it works well with retinol and peptides. It is truly one of the hottest products in anti aging skin care, and has removed all of my dark spots from over sun exposure and my face has even-out all over. Many people have asked how I know that it is the result of this product verses the creams with retinol and peptides, and it is because I did not start using all of the skin products all at once. My skin type is sensitive, and therefore, I had to introduce one product at a time. Although the creams with peptides and retinol worked well, I still had problems with my sun spots and dark blemishes that were permanent for the past four years. These spots started to disappear about three weeks of using this product. I now take very good care of my skin, and use sunscreen before going out into the sun. Overall, I think that Topix Citrix is well worth the money (although I would not complain if it were cheaper :-) ) and last's about a month if you use it once daily. I have been using it for a month, and have another bottle on its way. Looking Radiant Even When Tired! This stuff is great. It goes on silky smooth and reduces oily shine at the same time. 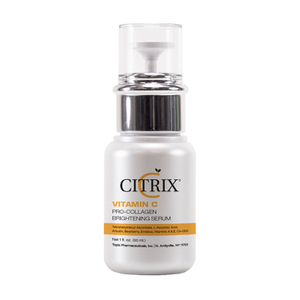 Whats great about this vitamin C product is that it has a silicon liposome delivery system, which protects the vitamin C from oxidation and delivers the Vitamin C directly into the skin. Combine this with the TGF-1 beta growth factor in 20% strength and you have a top tier Vitamin C product.I have never liked the Vitamin C products in serum dropper bottles since they oxidize so quickly because of the constant exposure to oxygen when opening the top. Also the dropper bottle serums do not spread on your face very easily at all.I prefer all my vitamin C products in pumps so that it reduces oxygen exposure.If you want a great Vitamin C product that is lighter weight than this go with EmerginC's 20% strength Vit.C serum. This is definitely the best C product I've tried. Others are smelly and sticky. This one glides on in a unique sheer, odorless, and doesn't irritate at all. Plus it's the highest concentration I've seen (others are all 10-15% serums). Dunno yet about the growth factor (only been using for 3 weeks or so), but I'm hoping it performs better than TNS and suspect it will. At the least it doesn't SMELL! Bonus is it seems to instantly help my oily, red nose and it is indeed very mattifying. I'm 41 with oily skin and have hunted for a product that renews my skin and provides antioxidants, while not making my face slick after a few hours. I think it may actually absorb oil. This stuff does it all. I have been using it for over a year. It works really well in the summer with the increased heat and hunidity. My skin is sensitive (small itchy bumps or sometimes small zits) and this stuff never caused any reaction. I wish this company would make a sunscreen version in the same base. The delivery agent is wonderful, like a mattifier, and with the C and human growth factor, it is practically a perfect product!